I have had an ever-growing interest in herbs. Specifically, I have an ever-growing interest in the health benefits of herbs. I’ve tried my hand at growing them in the past, but didn’t have a lot of success. This year I decided to increase my chances of success and instead of growing just a couple different herbs, I have 16 different herbs growing in my dining room. I’ve started Echinacea, Chamomile, Toothache Plant, Yarrow, Mugwort, Feverfew, Motherwort, Bee Balm, Rosemary, Burdock, Cilantro, Basil, Dill, Cumin, Lemon Balm, and Perslane. 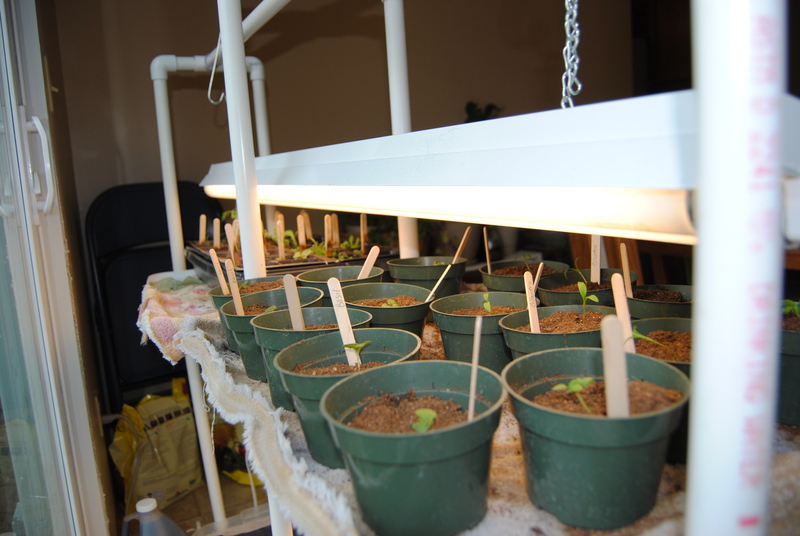 I also have Lavender planted outside and will start Borage outdoor in the next week. 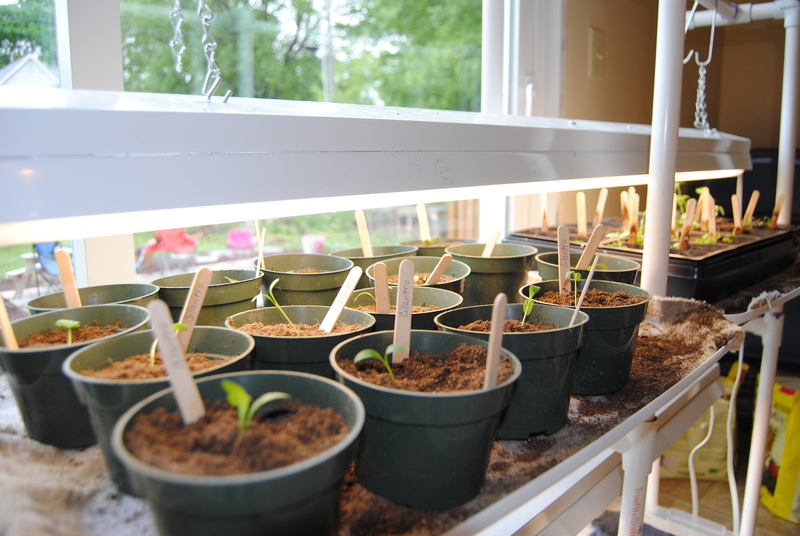 My seedlings have done well and today I began transplanting some of them to larger pots. In a couple of weeks I’ll move them to the greenhouse and then outside into their summer homes. Hopefully I’ll have good success this time around and now that hubby has a dehydrator, we can dry our herbs and store them for use in cooking. I can also use many of them in tinctures and ointments. This is my year to gain experience in growing herbs. If all goes well I’ll also try making tinctures and ointments. My plan is to expand my herb garden in the years to come, but for this year I’ll learn all I can. First of all, thank you for reading. I had some basil seeds from another company that I tried last year. 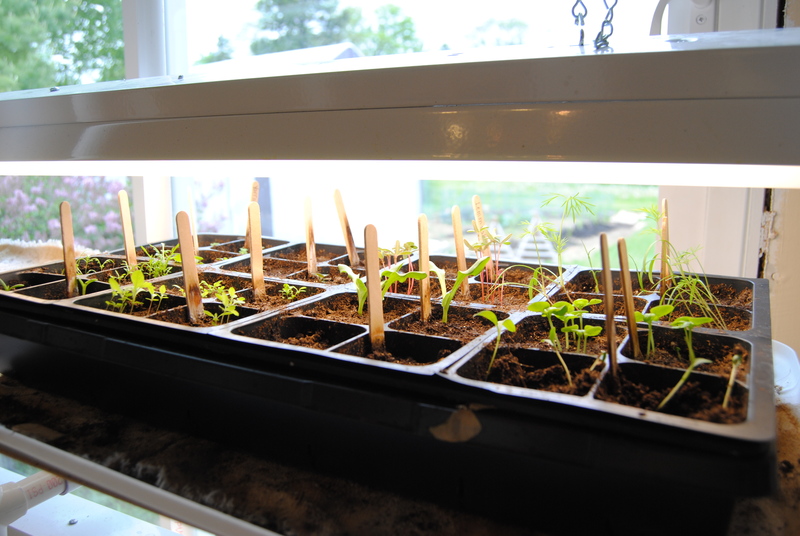 I had a little success with them, but had sowed them directly outside. This year I’ve started them indoors and they seem to be doing better.